Studs, metallics, neons, and midnight black moments are just a few words to describe the inside of Jennifer Lopez's beyond fabulous shoe closet. The stylish queen of American Idol leaves no shoe behind when it comes to footwear. Any girl that can successfully rock, sandals, double platforms, and sky high stilettos all in the same week deserves some serious admiration. You may remember me sharing all the deets about Jennifer's uh-mazing stylists here. The fabulous duo never lets this fash maven leave the house looking less than flawless. Below are some of Jennifer's best shoe moments. Which pair are you dying to raid from her collection? Lucky for us, we actually can walk a mile in her shoes this summer. Below are some of Jennifer's designs from her line at Kohl's. Click the picture to shop your favorite shoe. I'm totally crushing on those platform wedges. Since she has been judging on American Idol I have a totally new feeling about Jlo and her outfits, she looks stunning almost every time!!! Adore her fluro pink pair! she's always amazing, love the first pair she's wearing, nice color! Love the ones with the black tips! But they are all great! love her look from the 1st pic! She has some gorgeous shoes! I didn't realise she had a shoe line at Kohl's! She is my queen of style, she is truly breathtaking, and the shoes are amazing! Love, love, love this post! Ohh, I adore those simple black stilettos, they look amazing. Awesome post, I completely want her wardrobe. she is always so amazing!! looove her style! She sure has come along way from her Jenny from the block days style wise! I totally agree. She always has the best shoes. She has such a lovely style! That maxi skirt is stunning! she is such a beautiful woman! love the first outfit! Really love all of her shoes. Can't decide on one. I love her neon outfit ! wow i love jennifer,her style is amazing!! i'm really love neon look! incredible!! I love how Jennifer has evolved her style so flawlessly over the years...just love her look! I was checking out some of the JLO line at Kohl's the other day. Really cute stuff. I got my jewelry seen here (http://colortheeastcoast.blogspot.com/) from Kohl's too! Love all her shoes, they are amazing. I'm swooning after those pink neon ones! LOVE the purple heels in the third picture!! Wow!! i've always loved jlo's style. fabulous shares today!!! Love all of the shoes you shared in this post. SO FUN!! I actually just bought an amazing pair of spiked Simply Vera Vera Wang shoes from Kohl's that are absolutely amazing and just wrote a blog about them. You should check it out if you have minute-I think you would like them. im so in love with jlo's style. she is just amazing!!! Yes, I have to agree JLo has great taste.. love your sellection too, Anna! Haven't seen you around for quite a while on my blog.. I'm not even that big of a shoe lover and I love her shoes (and taste in the shoes she wears)! great shoe collection! every girl's dream... if only I could walk in them! I have to say I like the ones she wears more than the ones she designed, what a collection the pink ones are gorg! What FUN looking back through her shoes...she does love a heel and chunky pop of fabulousness! :) Hope you are having a lovely start to the week, Anna! The first platform wedges are my favorite too ... very cute! Have a fabulous week, sweets! 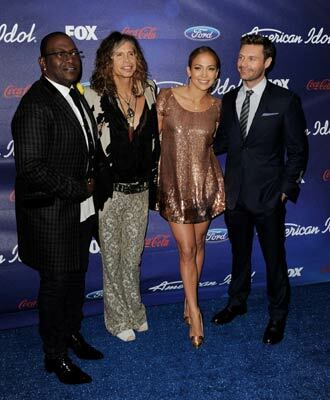 I have to admit, the only reason why I watch American Idol is to see what ensemble JLO is going to grace us with! Her ankle lepoard boots are to die for and I've been looking for a pair myself! I would die to raid her closet! jlo does have great style....i love the platform wedges, too! i wish they weren't soo high though, i would be way too tall in those! She is so stylish and her shoes are always on point. Ahhhh u def hit home with this post:))I love Jennifer, she my fashion idol! 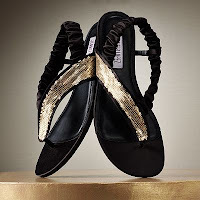 There are many companies manufacturing various kinds of shoes and sandals are a Christian laoboutin of them. This is a company that states Chlich very young, we spend a lot of money Yves Saint Laurent outlet to buy shoes of your choice. It is true that with increasing H, the Habs education coordinator Tze over time. If you want something really crazy to buy shoes very often, and then put w w Select your heels are like the clothes you want to use stored Alexander Wang Shoes m. K You can Jimmy Choo outlet k is a very big collection of different types of e E heels. However, if you are interested in buying from time to time, for there is always the best quality T, so it Yves Saint Laurent Shoes is a time L p without Rei Ngere also k Can k colors in such a way that most clothing facing. You k Can of k s R as the black and brown pair of high heels can cause and effect of your K are taken, and with your costume. K can You to wk w Select one of the drawings of silver and gold high heels, which moves with almost any kind of party. There are many online vendors that sell shoes and it's always better to surf the internet for the best prices on many shoes on the market. It is true that you are able, high prices for most of the footwear Gianmarco Lorenzi outlet brand for business Kr Forces in the streets en. JLo's style is bangin' outta control!! The higher the heel the better right?? Put your pretty face on my blog today... just a proud supporter that you won the LC Blogger contest!! WAHOOO!! U always cone up with te best post. I love all of her daring shoe choices - so fun!! My favorites are the hot pink pair at the top and then all of the sky-high mary-jane inspired pairs! She's just always been so fabulous! I love everything about her. I really want a pair of black mary janes like the one's she's wearing in that post! I love Jennifer Lopez so much! She's so gorgeous and she still looks good and young! Those wedges are so cute...and they are on sale right now! She's just always been so fabulous! I love everything about her.